CHI Memorial Primary Care Associates - Atrium specializes in primary care, primary care procedures, diabetic care, health promotion, disease prevention, diagnosing and treating chronic and acute illness, wellness maintenance and women's health. The office is especially convenient for those who live and work in the East Brainerd area. 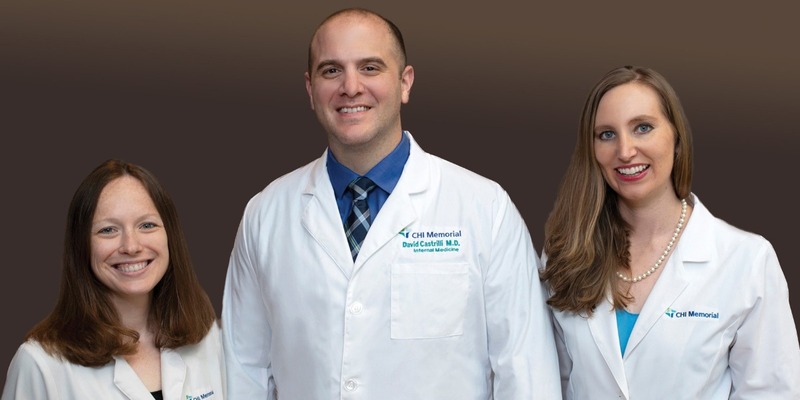 Sarah Baker, MD, David Castrilli, MD and Jacqueline Gentry, MD welcome new patients. To schedule an appointment, call (423) 648-8110.